In The Rubber Room: Sauvage! 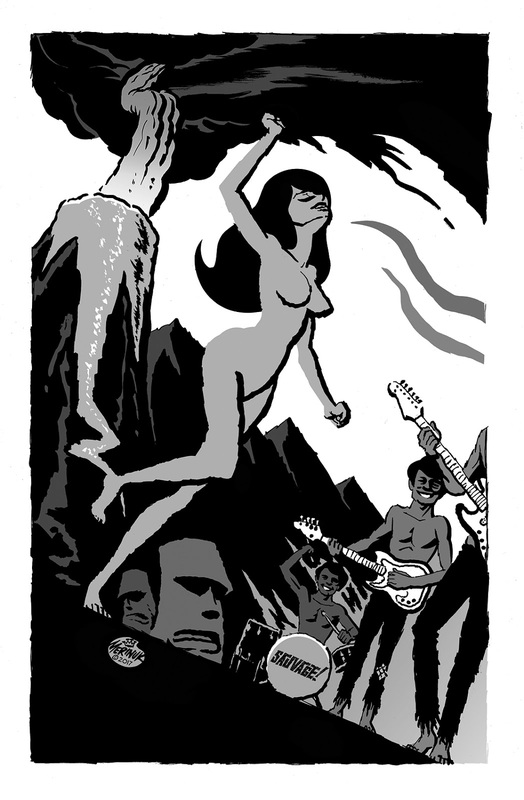 New art for hip Spanish comix zine Palmeras y Puros. The upcoming issue features a load of guest artists with drawings on the theme of tropical island rock'n'roll, from which the above drawing is my contribution. There's new work by the regular P&P artists plus an exclusive tell-all interview with yours truly featuring 2 previously unseen drawings of a rather scandalous nature. Should be a pretty fun package of scribbling so you may wanna grab yerself a copy. Check in with P&P at their Facebook page and... Stay tuned for MORE ACTION! Santa's Gonna Shut 'Em Down!